Do you need a special item to drive a more interesting and effective fundraising auction? Our team is always looking for new and exciting auction items for fundraisers and we are proud to announce a brand-new experience package, available now. Experience packages can offer a unique, stand-out touch to your live or silent auction. This can conjure interest from more guests to encourage participation in your auction and result in more funds raised for your cause. Your auction winner will enjoy an incredible day for eight guests on a new luxury yacht. A delicious on-board lunch or afternoon tea will be served, including champagne, beer, wine and soft drinks. After a short briefing, the group can learn how to hoist and trim the sails or just chill out on the deck. Departing from Rushcutters Bay in the East, the group will set sail for a taste of the mighty Pacific Ocean! 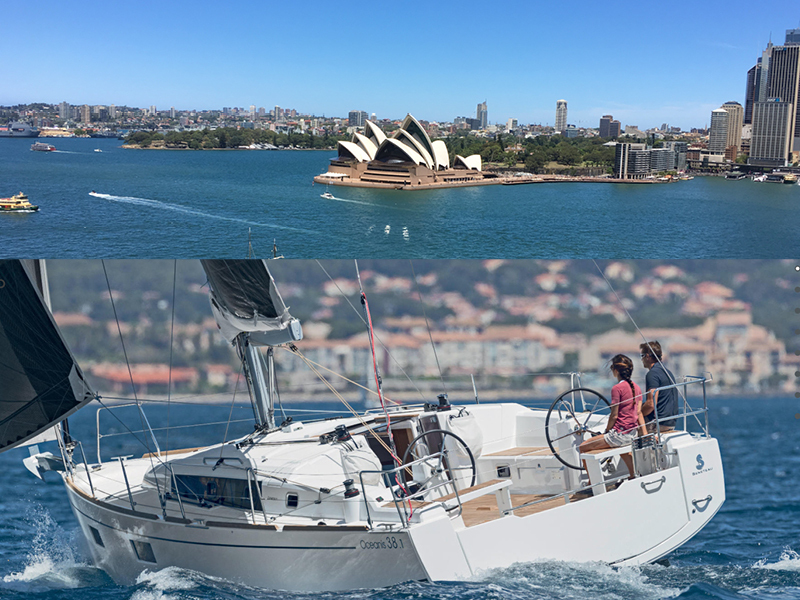 They will be fascinated by the view of the Sydney Harbour Bridge and the Opera House whilst sailing on to amazing beaches for lunch and perhaps a swim. The cruise returns back to Rushcutters Bay, after four full hours. As always, we can offer all of our auction items with no cost to your event budget (consignment). Contact our team for more information, terms, and conditions, and how to add this package to your next fundraising auction. 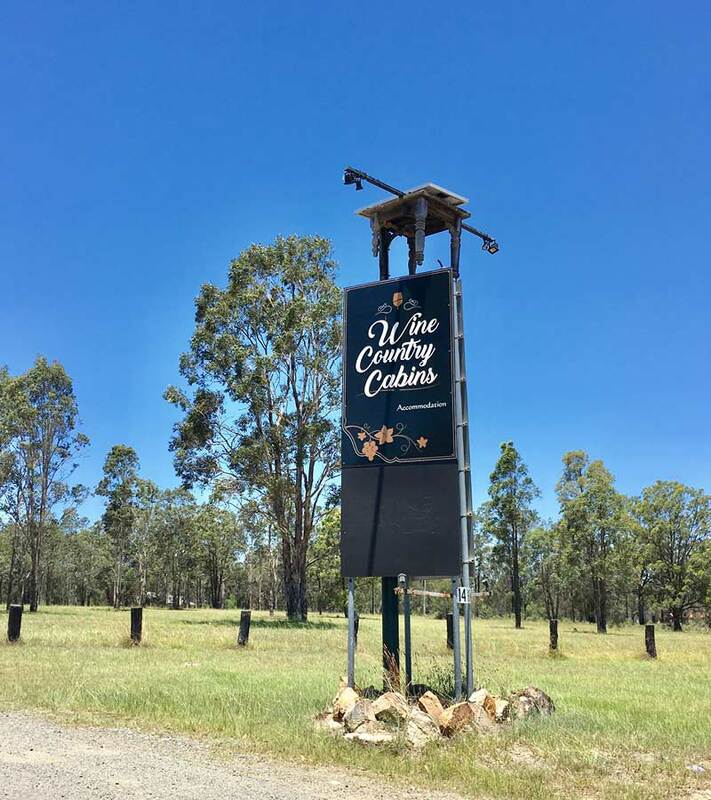 Tucked away in Australia’s oldest wine region, the beautiful Hunter Valley Wine Country Cabins is a perfect getaway from the hustle and bustle of Australia’s cities or a fantastic destination for visitors to the New South Wales region. The property is situated amongst numerous bespoke vineyards and the region’s best attractions – making it the perfect overnight resting spot to spend time taking in the sights, sounds, and tastes of the famous Hunter Valley. 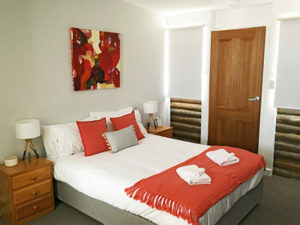 Accommodation packages at the property are also available as auction items for fundraisers. The Wine Country Cabins recently became the highlight of a couple’s travels in Australia. 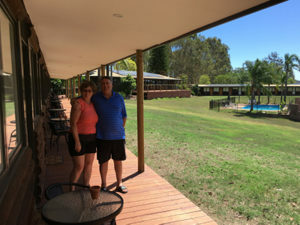 Visiting from Canada on their first-ever trip to Australia, Bill and Kathy G. were on a five-week trip to the New South Wales region which included a weekend stay in the Hunter Valley. Upon their arrival to the Wine Country Cabins, they were blown away by the beautiful expanse of the property. “It’s simply beautiful. Quiet, spacious, and serene. And you can smell the eucalyptus! Now, that’s authentic Australia. What more could you ask for?” said Kathy. 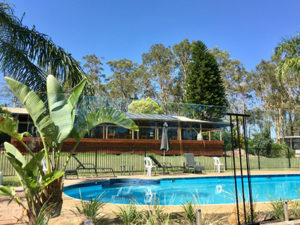 The immediate area around the Wine Country Cabins features a large number of wineries such as Bimbadgen, Blueberry Hill, Keith Tulloch, and Tatler plus a variety of unique attractions such as Hunter Valley Chocolate Company, Sabor dessert bar, Hunter Distillery, Matilda Bay Brewhouse and the beautiful Hunter Valley Gardens. “There was a lot to choose from each day. Apart from the great wineries, I was able to taste and buy some wonderful chocolate and Bill was able to do some beer tasting. We were very impressed – the region offers something for all tastes,” said Kathy. Contact our team to learn more about how you can add a package to your next fundraising auction at no cost to your event’s budget!